in different styles and sizes. 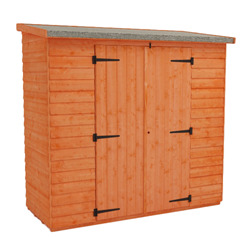 Find out more about our Bike Storage Sheds range. 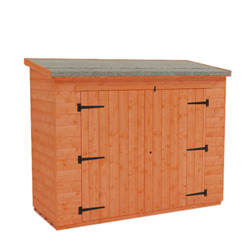 Every bike needs a home, and here at Tiger Sheds we have plenty of solutions for gardens big or small, and budgets to match. 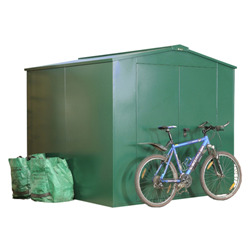 We offer bike sheds to house all your two-wheeled treasures and give you room to maintain them lovingly. 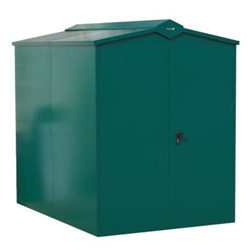 We manufacture bike sheds in both wood and metal, so you can choose something to complement the aesthetics of your garden. Our models are available in various sizes, with room to fit either one or multiple bikes, without taking up too much garden space. 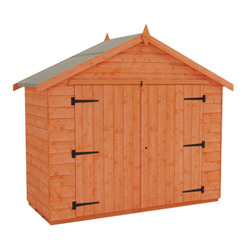 Having a designated shed for your bikes means that other items that are often kept in sheds – such as garden furniture and tools – will not be affected by the oil, muck, and grime that can coat bikes during rainy weather. Storing your bikes alongside any maintenance equipment keeps everything in one place, and having it securely locked up reduces the risk of vandalism or theft. You can also access your bike easily without having to untangle it from the lawnmower cord, making it a perfect option for keen cyclists. 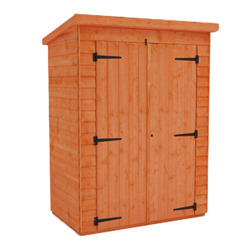 We offer free shipping to most UK postcode areas, delivering your shed to you within 25 days.